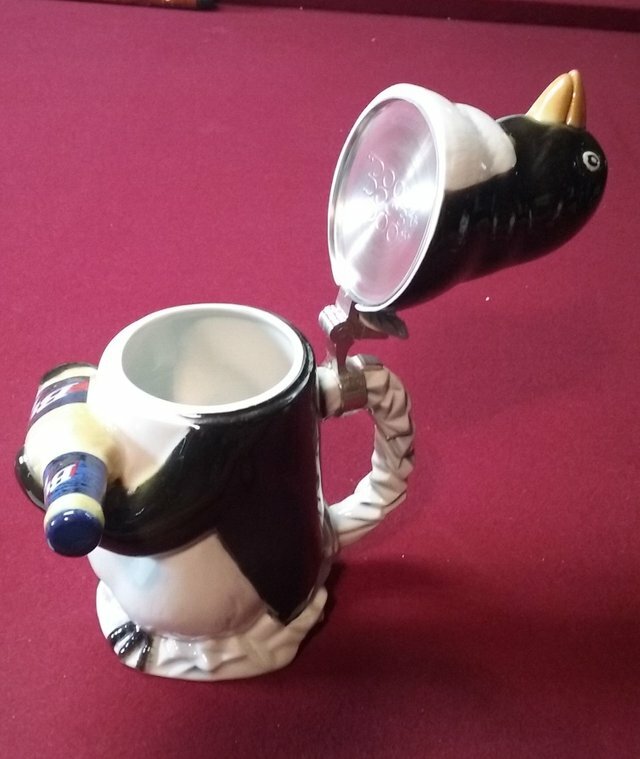 Something from my bar whenever I feel like it episode CIIIsteemCreated with Sketch. Well Steelers played on Thanksgiving so I decided to go with something a bit different today. 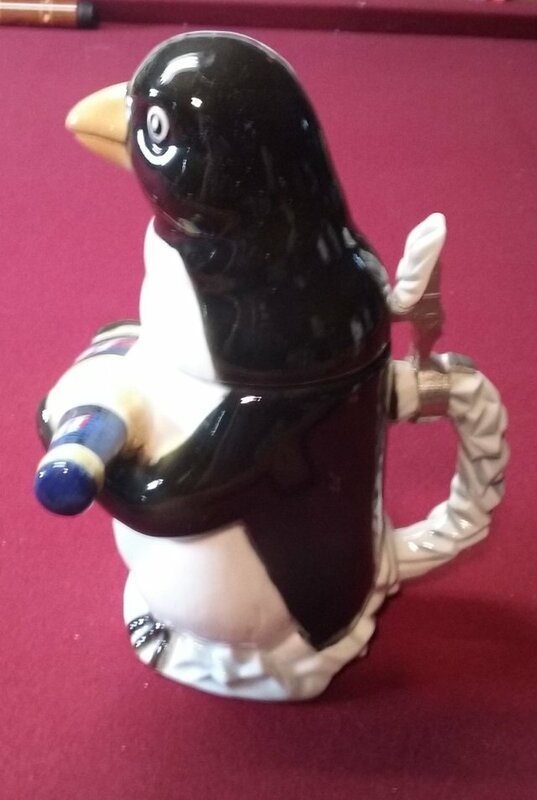 I did a few glasses before but I think this is the first beer stein. 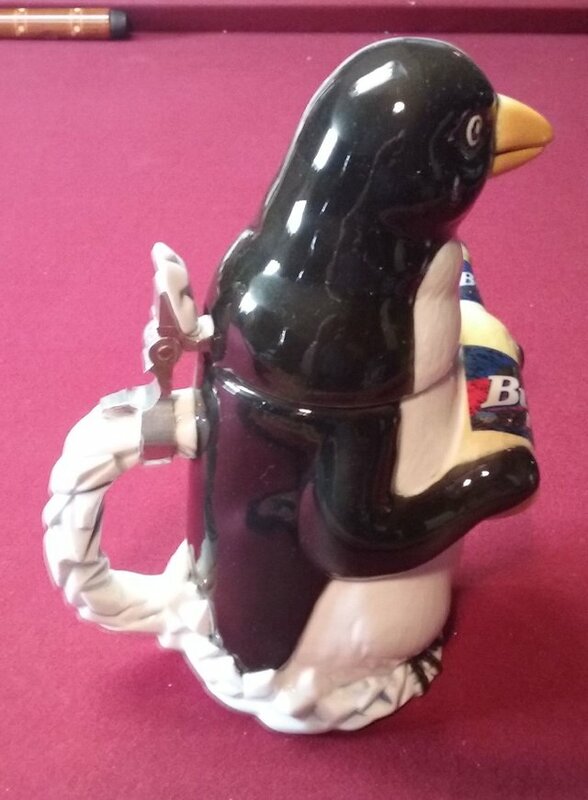 Kind of overlooked them when choosing stuff before. 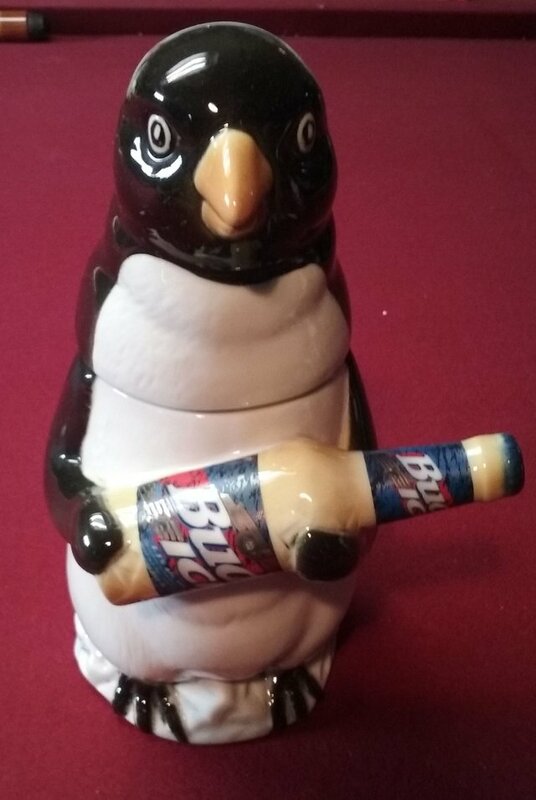 Not sure how many of you remember the old Bud Ice Pittsburgh Penguin commercials on TV. 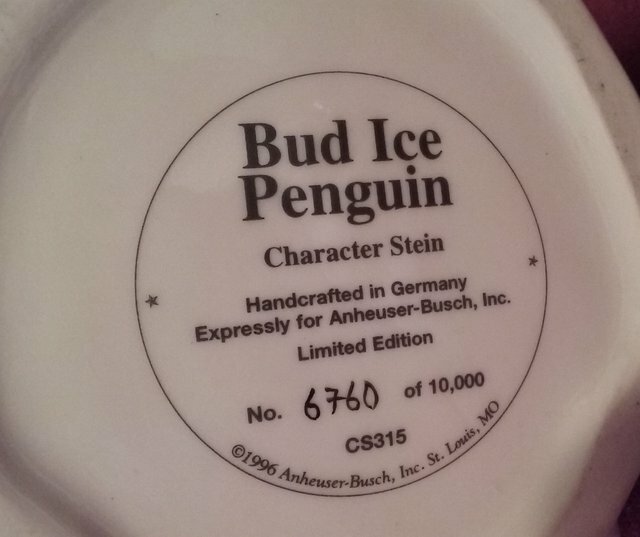 This is a collectible stein replica of the Bud Ice Penguin. 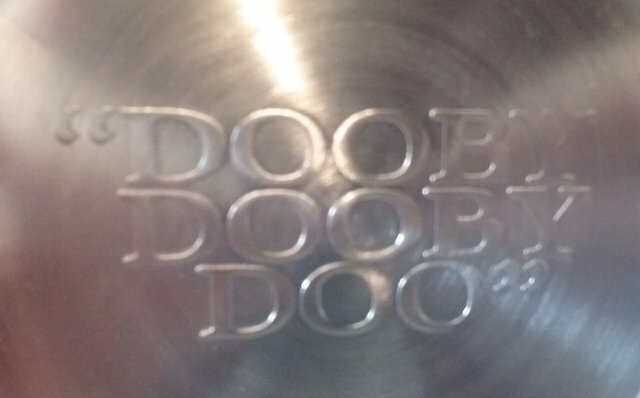 On the inside of the lid is the infamous "Dooby Dooby Doo" that would be at the end of every commercial. 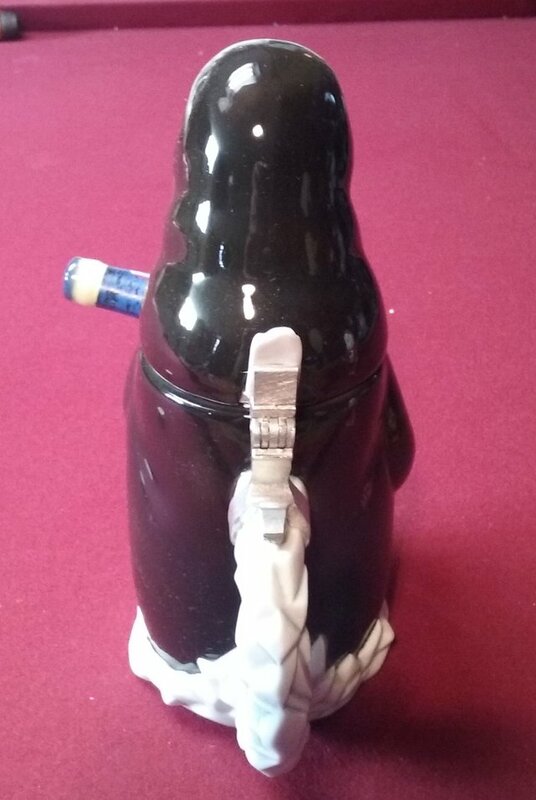 The bottom has the collectible information and is numbered. 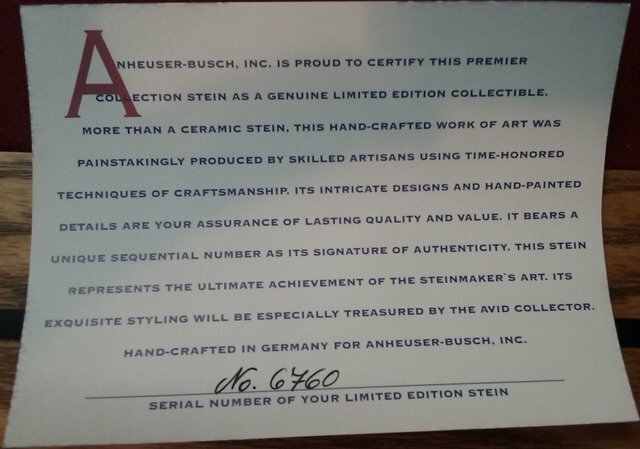 There is also a certificate that I just keep inside the stein.